I purchased this eyeliner in an Avon order a couple of months ago, thinking it would be a good idea to go back to pencil...this product put me off completely! There was so much fallout and the eyeliner became grey and even crusty (???) after just an hour! I was really disappointed with this. Now, I know for a fact that Avon still sells this, so if you're planning on purchasing it I would think otherwise. I bought this thinking that it sounded brilliant. The way that all you had to do was turn a little purple nozzle and the strength of the mascara would increase...amazing, right? Wrong. It did no such thing! Each level (1, 2 and 3) were all exactly the same and all terrible. This is a lovely little mascara I received in a gift set, but I have to say that the mascara does nothing to my eyelashes. The dark black colour is gorgeous and does last, but it certainly gives me no "Intense Volume". I had read about this in a magazine and thought it sounded great so I ordered it the very next day. 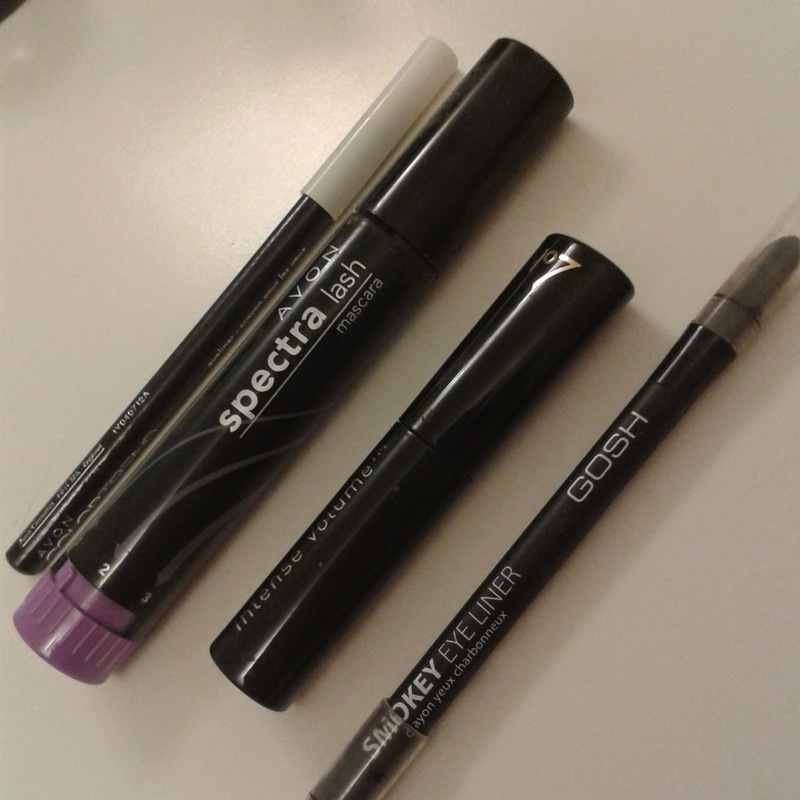 The smudging tool actually works really well, but the eyeliner itself is awful. I'm not going to sugar-coat it. The fallout was on a new level of extreme. After putting it on, my eye would randomly hurt at odd points in the day because the eyeliner had crusted and fallen into my eye. It caused me major irritation so I would definitely not recommend this. This set really disappointed me. Although it's not now, when I bought it originally it was quite expensive. It took forever to dry and the pink colour needed over five coats to even see a noticeable difference. As well as being time consuming, once it was finally on, it only lasted 1 day before it started chipping! Definitely not worth £14! 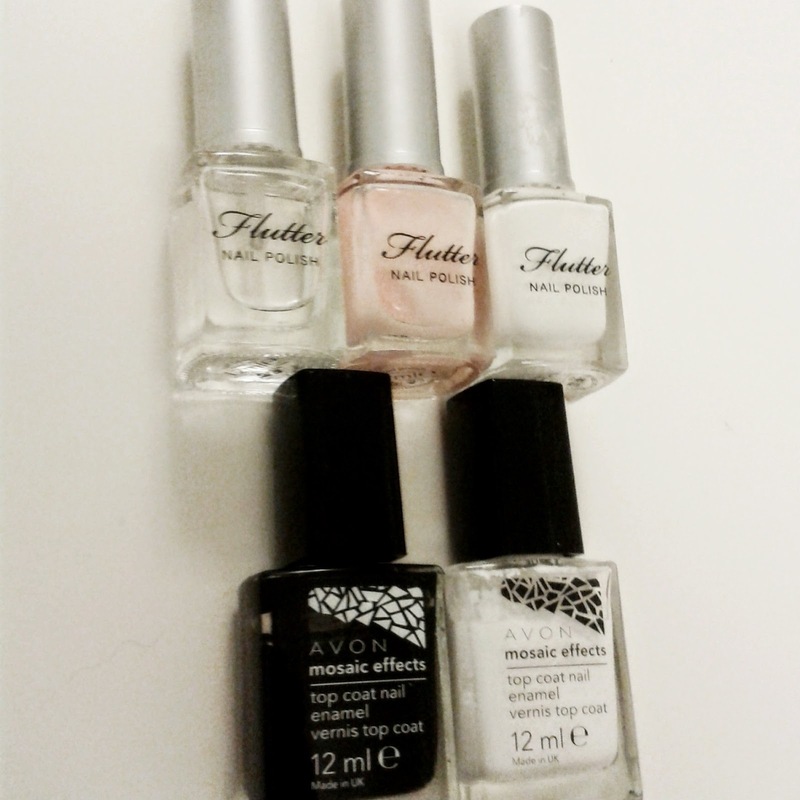 As you can see, these nail polishes are meant to be a top coat over a colour to create a 'mosaic effect'. I can tell you that it was more of a smudged effect than mosaic. It created streaks through the colour and basically a big fat mess! The product is not at all expensive so I'm not at a huge loss, but I would have rather spent the money on something slightly more effective. 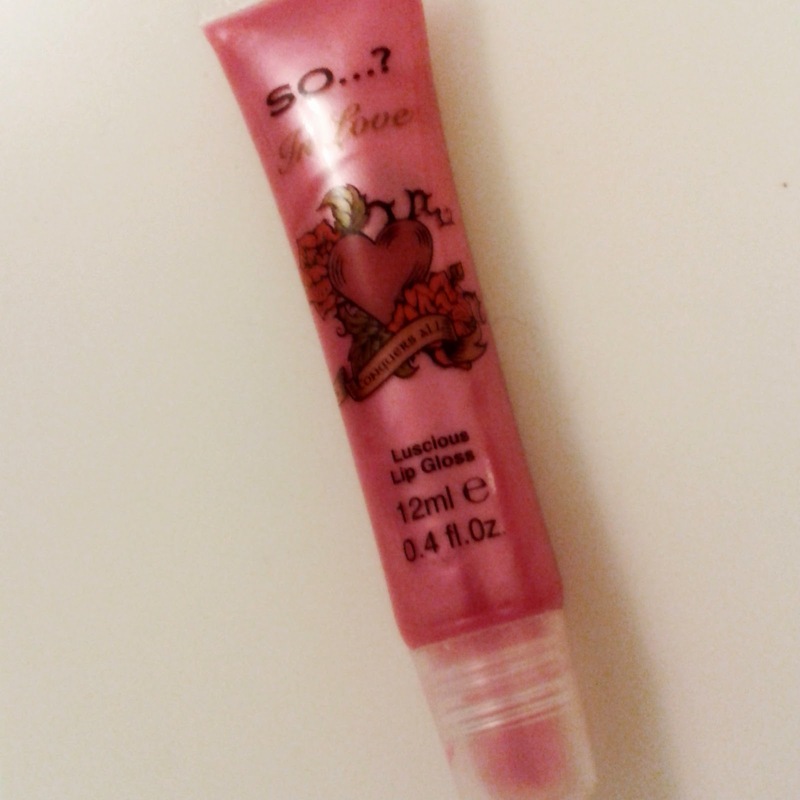 This product is one of the stickiest lipglosses I've every owned...and I have over 45 (no lie, I just counted)! Normally, I'm not too fussed if a lipgloss is sticky, but when it gets to the point that your lips feel like they're cemented together and it's a chore to separate them then something's not quite right. 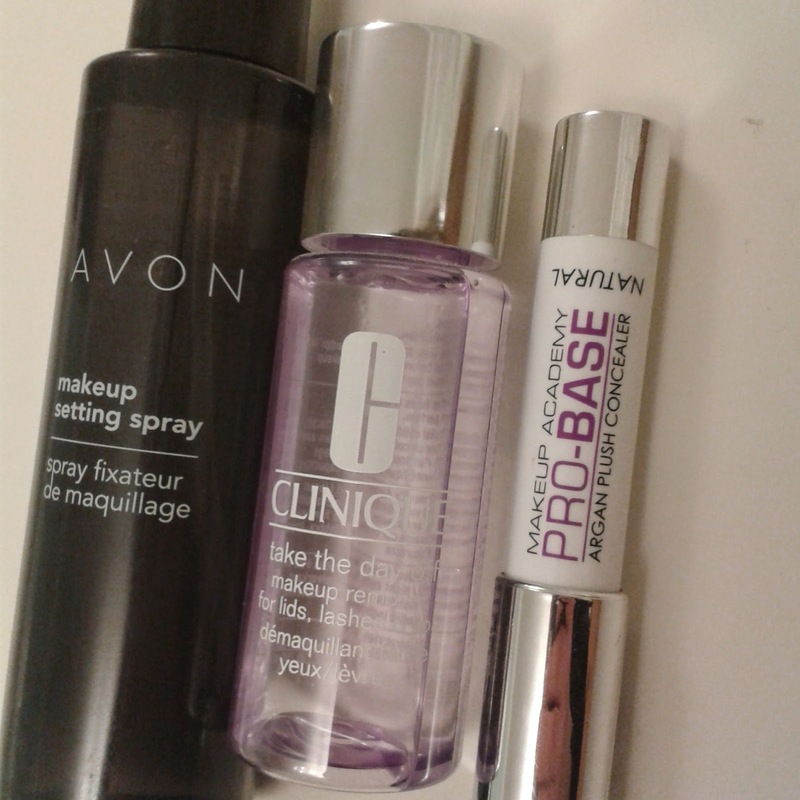 I talked a little bit about this product in a makeup haul I did recently. I wasn't too sure about the product then as I had only tried it a couple of times, but now I've used it about 5 times I can confidently say that it is wiping my makeup off! The spray is really refreshing, but because of the ingredients in it, my makeup feels secure and set straight away and in a couple of hours there's practically none to be seen on my face. It makes my foundation and concealer look very blotchy. At first I thought it was just my own products or skin, but I soon realised that when I stopped using it, this didn't happen. Definitely one to throw out! Although this is only a sample product I thought it was important to give you all my honest opinion on it. Clinique products are quite expensive and I know from this experience that I will not be buying the full sized product. This remover is specifically for lips and lashes. It may have just been my own personal bad reaction to it, but when on my lips it made them red raw and when on my lashes, it made my eyelids sting. The product itself removes the makeup really well but it leaves you feeling very sticky and caked in product, even through it's meant to be removing it! It's a weird sensation, but I don't think it's one I'll be trying again. This product is perfect if you're just starting out with makeup and want something cheap and quick! However, as someone who's been wearing makeup for a while now it's not something I would want to buy again. It covers blemishes well when first applied, but comes off after just half an hour! Not a great product, disappointingly. Please remember that these were just my personal opinions and reactions, they will not be the same for everybody! I hope this was of some help to you all...feel free to leave comments below about your reactions to these or maybe some products you regret buying. Hey Georgia, it just my personal experience too....Avon have never impressed me with any products.....I would prefer Oriflame to Avon anyday for some of the skincare ranges. Probably you can try. I love posts like these! Thanks for sharing, will keep an eye out for these! You know, people should do this kind of post more often! There's nothing worse than wasting your hard-earned money on a beauty product that doesn't work! Really nice to see some honest reviews! Will be avoiding these products!